Fred Hudson's Dance Band with singer. 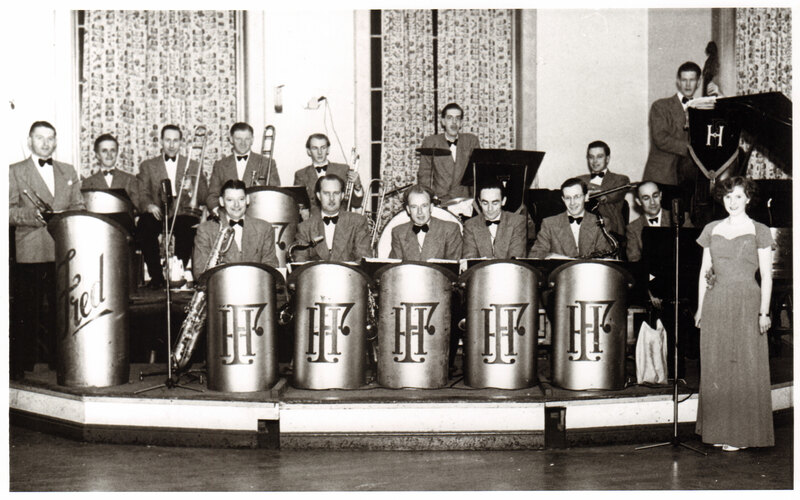 Fred Hudson's Dance Band who regularly played at the Welfare, corner of Cavendish Street and Broughton Road (now part of Morrison's car park). Back Row: Fred Hudson: Keith Horner: Andy Hoe: ?: ? : Cyril ? (drums): Bobby Horner (guitar) Front Row: ? : Jack Longden: Lou Rawcliffe: Fred Thompson: ? : ?: ? (Singer) I would suggest that this photo was taken in the Clifford Hall (Black Bull).